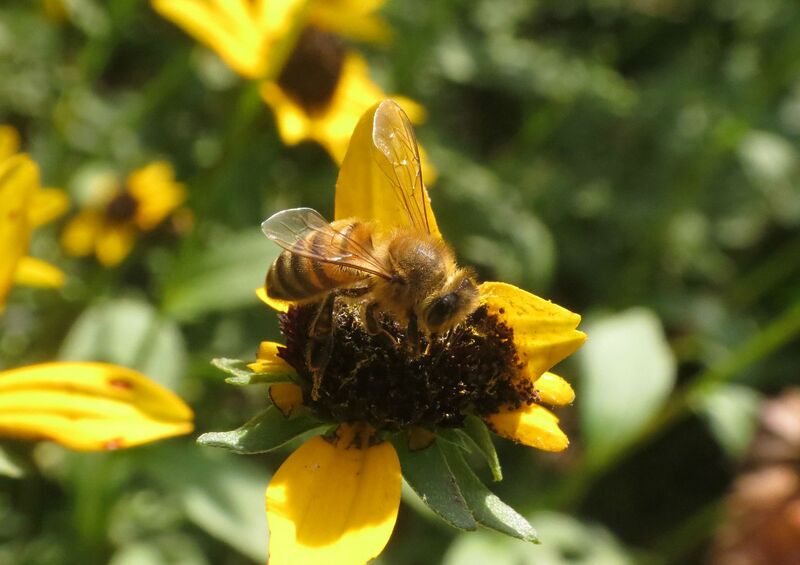 I've never seen Honeybees bothering with Black-eyed Susans before, even bumblebees won't bother with them. But on my recent visit to the Mt. Cuba Center in DE, sure enough I found some working the plants. But they were only working the ones in a huge patch at the top of the hill where assorted Asters and Goldenrod were planted around. Others planted out in the grassy meadow received no attention at all, though I'll concede they were not planted as densely. What I think is happening is the honeybees that found the asters took the sweet nectar home and did a waggle dance to tell their fellow bees where the sweet nectar was. So the new foragers coming to locate the source of the nectar mostly found the Black-eyed Susans instead of the Asters. On rare occasions when I do find honeybees working Black-eyed Susans, away from other nectar plants, it's usually on the cultivars that have enormous flowers compared to the true species, seen above, which doesn't always have its petals. I'm half tempted to say the bees were tending aphids that sometimes infest the flowers to various Rudbeckia species but I know that wasn't the case. 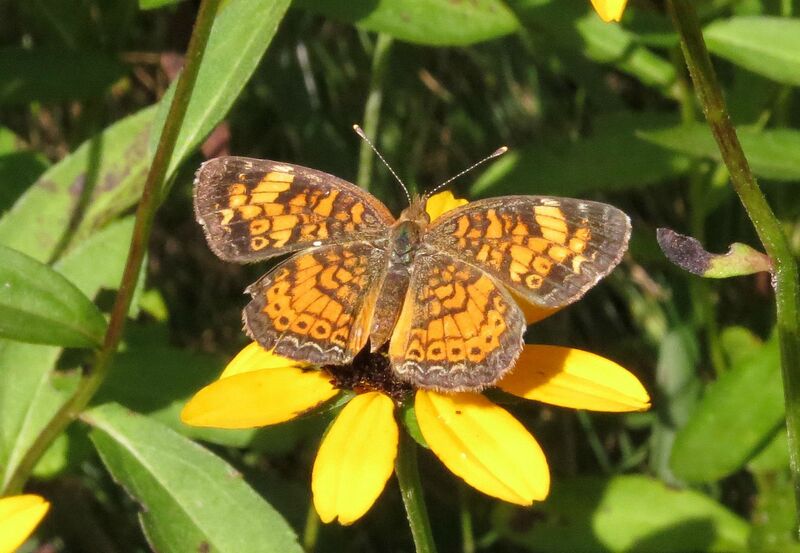 I also spotted a Pearl Crescent fluttering about on the flowers. I wonder if the Mt. Cuba Center's new hybrid aster 'Bluebird' is a host plant for this species. It's a hybrid between two Asters but only Symphyotrichum laeve is listed as a host.